This page shows the latest MRSA news and features for those working in and with pharma, biotech and healthcare. resistance to other antibiotics, including ‘superbugs’ such as methicillin resistant Staphylococcus aureus (MRSA). In 2011 AZ launched novel cephalosporin Zinforo (ceftaroline fosamil), the first drug in the class to be approved with data showing it could tackle the superbug methicillin-resistant Staphylococcus aureus (MRSA). Approximately 4 fully matching, plus 76 partially matching documents found. Another lost decade for research? the past five years), along with MRSA (eight filings) and HIV (nine filings). 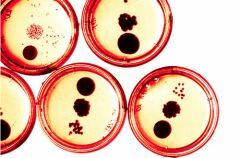 infections, including methicillin-resistant Staphylococcus aureus (MRSA).